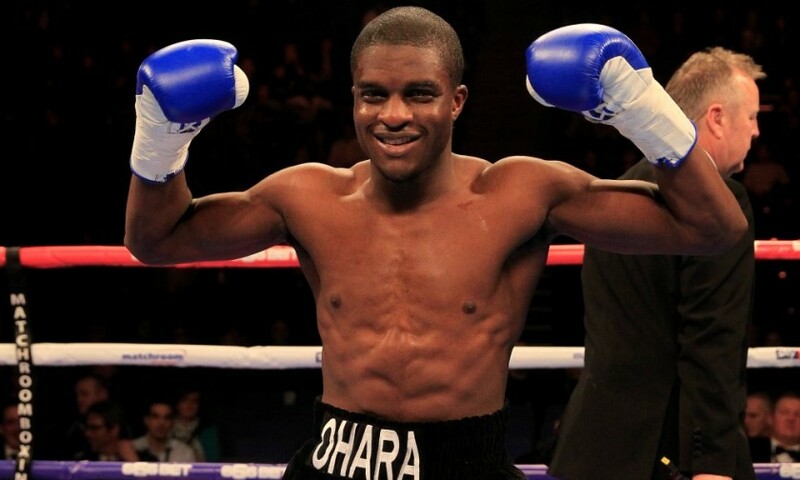 Ring News 24Boxing News Breaking Boxing NewsDid Matchroom make the right decision in letting Ohara Davies go to Frank Warren? At one point it appeared that Ohara Davies was on an upward trajectory to big fights and big paydays. 15-0 with 12 KOs he had cut a way through a moderate level of opposition, won a couple of lesser titles and talked his way in to the good books of promoter Eddie Hearn with his marketable bravado and ability to create “beef” situations with domestic rivals. Ohara was also breaking into the wider consciousness of boxing and UK sports fans. His willingness to fight Josh Taylor in Scotland and on Channel 5 showed an overt confidence in his ability and he travelled north of the border genuinely expecting to knock Taylor out. I would opine that Eddie Hearn has to shoulder some level of responsibility for Davies’ rise and also his public demise. Hearn was happy enough for his fighter to play the “heel” (wrestling parlance, apparently) in using his infamous persona and downright unsavoury comments to drum up interest in bouts, similar to the way Adrien Broner has done for much of his career. Whenever Ohara was winning and looking good it was fine for him to say and do whatever he pleased but as soon he lost to Josh Taylor it appeared to be a different matter and he was suddenly on slippery footing. The final comments that did for Davies were, in the view of learned boxing observers, actually misconstrued as meaning something they didn’t. Davies taunted domestic rival Tommy Coyle by saying that he was going to give an interview to his favourite newspaper – The Sun. That was taken by many to be a slur on the Hillsborough tragedy and the Sun’s understandably reprehensible involvement over the decades in that whole affair. Davies insisted that it meant something else and he pleaded ignorance on the wider context, but he was still dropped from an upcoming Matchroom Liverpool show. Davies has now signed with Frank Warren and has a job on his hands rebuilding his image, while still retaining the interest he had attached to his name, pre-Taylor. Warren will most likely steer him down the tried and trusted WBO route and Davies will work on matching the drive and hunger with a touch of humility. The 25-year-old Hackney native looks like he is already starting to bring a few fans back on side after posting a humorous tweet recently where he tagged in the Transport for London twitter page and stated he would like to report that he had been “thrown under a bus”. Factually incorrect but morally accurate perhaps? Whether Matchroom releasing Davies was a good move for them based on his potential, only time will tell. I will leave it to the individuals to judge for themselves how they interpret Davies’ behaviour and ignorance. I am no Davies apologist. I found his personality and antics fairly odious at times in the past and felt he was acting and behaving beyond his station, given that he had barely beaten a credible opponent. The Josh Taylor loss was a satisfying contest, similar to the way in which Marcos Maidana popped the bubble of the aforementioned Adrien Broner when they met. I enjoyed Taylor’s win and Davies’ hard introduction to reality. That said, I do think that Davies has been thrown under a bus to a certain extent in the way he has been removed from the Matchroom stable. It looks from the outside that they were encouraging and facilitating his escapades when it suited and then suspending and releasing him when things got out of hand and he was not such a valuable commodity anymore. Had he beaten Josh Taylor on July 8, 2017 would they have been so quick to fire the bullet? I doubt it. Will 2018 be a big year for Kell Brook?